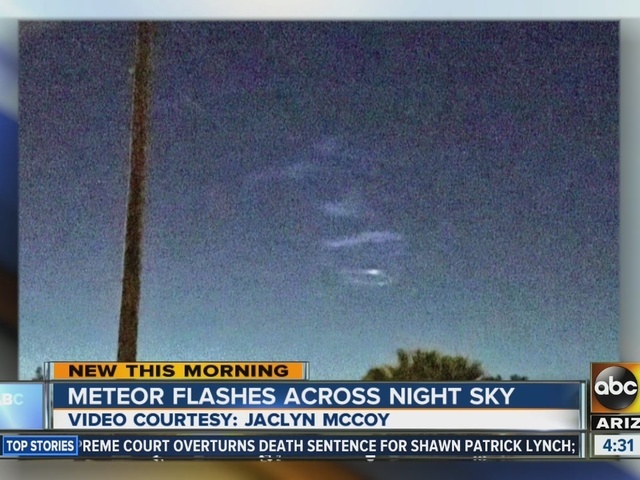 A huge streak of light brightened the sky early Thursday morning, prompting worry and curiosity from many Phoenix-area residents. The first reports came in right around 4 a.m. from around the Valley and even in areas like Yuma, Flagstaff and Pine Top, Arizona. Several callers also reported feeling the ground shake. The photo above shows part of the view from an inside security camera owned by one of our viewers. 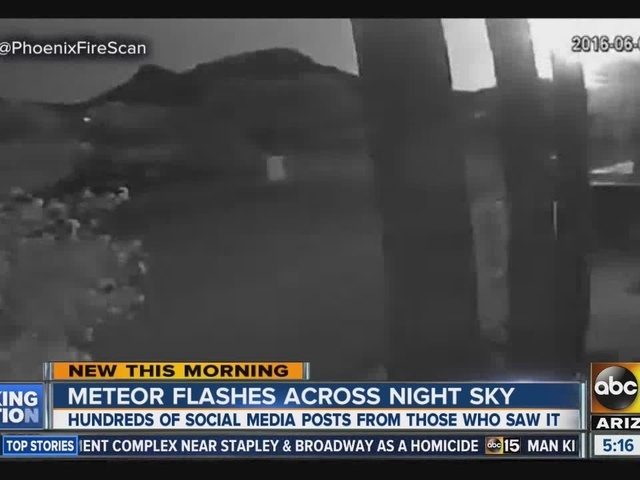 Phoenix-based KNXV is actively looking to verify whether a meteor was the source of a light and if so, if there are any impact sites. 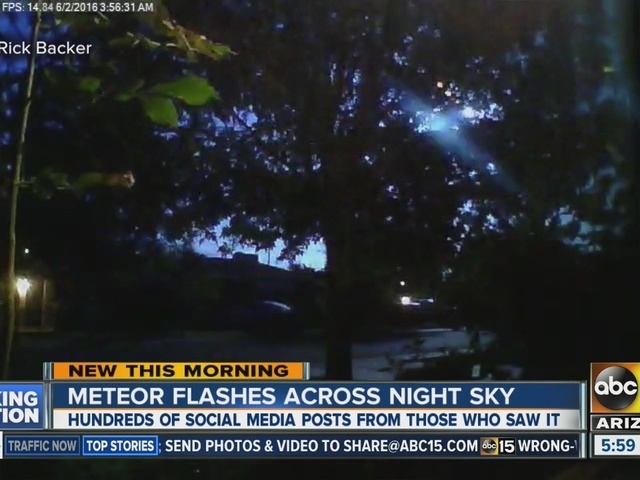 If you have photos or videos, please send them to share@abc15.com.